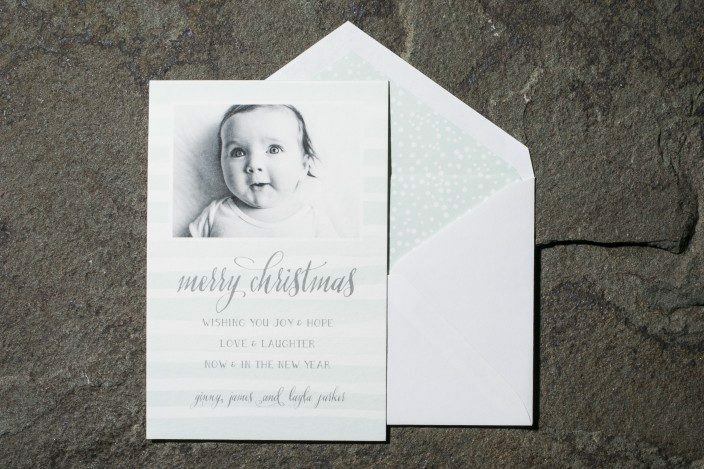 design highlights: silver and seamist letterpress holiday card paired with a digital photo. 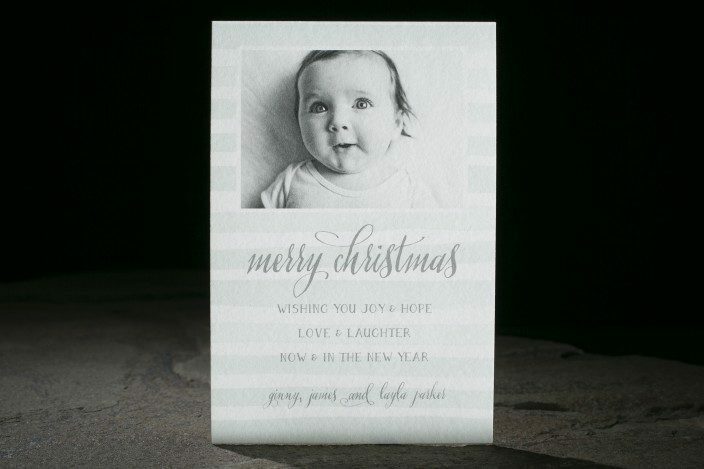 silver foil edging. liner: pearl pattern in seamist.